A clinical trial under way at the East Carolina Heart Institute is testing the benefit of a new medical device designed to help high-risk people suffering from leaky heart valves. Dr. W. Randolph Chitwood Jr., director of the Heart Institute and professor of cardiovascular surgery at the Brody School of Medicine at East Carolina University, secured the clinical trial for the MitraClip System for the treatment of mitral valve regurgitation (MR). A serious heart condition, MR can lead to arrhythmias and congestive heart failure if left untreated. Dr. Curtis Anderson, a cardiothoracic surgeon and assistant professor of cardiovascular sciences, and Dr. Ramesh Daggubati, a cardiologist and clinical professor at Brody, collaborated to perform mitral valve repairs on two patients at Pitt County Memorial Hospital without making the traditional incision in the center of the chest to access the heart. Chitwood joined Drs. Rajasekhar Nekkanti and John Cahill, ECU cardiologists, to assist in the procedure. In each case, the multidisciplinary team of cardiologists and surgeons placed a thin catheter in the patient’s groin vessel, guided a tiny clip through the heart’s septum and placed the clip between the leaflets of the valve to stop the leak. With the clip, patients leave the hospital the next day and within two or three days return to normal activities – or, in many cases, better-than-normal activities. Anderson said patient selection is the key to a successful outcome. The mitral valve is a one-way valve that connects the left atrium to the left ventricle of the heart. With mitral valve regurgitation, the valve does not seal completely, and blood leaks back into the left atrium. This reversed flow can cause heart and lung damage, as well as death. Symptoms may include an audible heart murmur, shortness of breath and heart palpitations. The East Carolina Heart Institute is a unique partnership that includes University Health Systems Pitt County Memorial Hospital and East Carolina University, along with cardiovascular experts in private practice, academic medicine and research. The East Carolina Heart Institute is the first in North Carolina devoted exclusively to education, research, treatment and prevention of cardiovascular diseases. Dr. David Alpan and Aesthetics Orthodontics offer a virtually invisible way to get the straighter teeth and beautiful smiles they’ve always dreamed about—with no brackets, no wires, and no hassle. One of the most convenient and comfortable teeth straightening options available today, the Invisalign system lets each patient keep her orthodontic treatment to herself, using a series nearly undetectable aligners to produce a dazzling smile and the confidence she craves. Affecting over 75% of the population in the United States, malocclusion, or the misalignment of teeth, is one of the most common reasons that patients seek dental care. The metal braces that have been used for years to treat malocclusion are difficult to care for, require restrictions on the patient’s diet, can be uncomfortable to wear, and are quiet noticeable. In contrast, the Invisalign system consists of removable clear plastic trays that are both comfortable to wear and convenient to care for. These aligners gently shift the patient’s teeth, over time, into the smile he’s always wanted, with none of the bother of braces. Other types of invisible braces, like those worn on the backs of the teeth or those made of ceramic rather than metal, can certainly be less noticeable than traditional braces, but only Invisalign offers the patient complete freedom when it comes to what he eats and how he brushes—the trays are simply removed when necessary. Invisalign aligners are created just for the individual patient, based on a custom treatment plan. Each set is worn for two weeks, and then replaced by the next set in the patient’s personalized series. As the patient works her way through her series of aligners, she begins to see positive changes in her smile. The aligners straighten teeth over time, ultimately leaving the patient with the beautiful smile she’s been waiting for. A leader in the field and a top Las Vegas Invisalign orthodontist, Dr. David Alpan has been a certified Invisalign provider since 1999. Since 2001, Dr. Alpan has worked with Align Technology, the maker of Invisalign to train other Invisalign dentists in the use of this highly effective and popular tooth straightening method. To date, Dr. Alpan has trained over 6,000 Invisalign providers, and he currently works as a study club leader for new Invisalign orthodontists. Dr. Alpan is a 2009 Elite Invisalign Premier Provider and a member of the InvisalignCentury Club, an honor awarded to the top 100 Invisalign providers in the United States. Dr. Alpan and his team at Aesthetics Orthodontics work hard to stay abreast of the latest advancements in the field in order to bring their patients the most comfortable and effective treatments modern orthodontics has to offer. In addition to the Las Vegas office, Dr. Alpan has locations in Beverly Hills and Los Angeles. His team at Aesthetics Orthodontics is committed to delivering comfortable, effective orthodontic treatment in a pleasant, caring environment. Along with Invisalign and other treatments for malocclusion, Dr. Alpan and his team provide TMJ/TMD treatment and treatment for Muscular Skeletal Disorders (MSD) to help provide relief for patients suffering from headaches, neck and back pain, and other neuromuscular symptoms. Respiratory therapist Paul Sherman, MS, RRT, RPFT, RCP went to Washington, DC March 8 2009, representing California Respiratory Care Practitioners, to ask members of Congress to allow Medicare patients with lung disease to have greater access to the services of a respiratory therapist. Paul Sherman is a respiratory therapist at Santa Barbara Cottage Hospital and lives in Goleta, California. Sherman met with Representatives Frank Wolf, James Moran, Senator Jim Webb, Carina Armenta of Senator Barbara Boxer’s office and Tim Gronniger, aid for Congressman Henry A. Waxman to ask their support for the Medicare Respiratory Therapy Initiative. Sherman plans to meet with Representative Lois Capps when she returns to her home district of Santa Barbara. Congressman Henry A. Waxman is the Chairman of the Energy and Commerce committee. Sherman is a member of the Political Advocacy Contact Team (PACT), a nationwide group organized by the American Association for Respiratory Care (AARC) to spearhead grassroots level advocacy efforts. Sherman is also a long time member of the California Society for Respiratory Care (CSRC) and has served in the past on the Board of Directors of the CSRC. The California Society for Respiratory Care (CSRC), as an affiliate of the American Association of Respiratory Care (AARC), is a non-profit professional organization, whose mission is to represent and support our members through public and legislative advocacy, educational opportunities, and to continuously strive for excellence in the cardiopulmonary profession. By these means, the CSRC is committed to health, healing and disease prevention in the California community. AllergiCare™ Relief Centers of Long Beach www.AllergiCare.com/clinics/longbeach opened last week and patients have already seen tremendous success with the clinic’s new state-of-the-art laser technology. The new technique, called “immune conditioning”, that is offered by the clinics is unique in that there are no scratch tests, allergy shots or medication involved. Instead, computer technology and laser therapy are used to eliminate negative reactions to what would ordinarily be a harmless substance. “What makes our method of diagnosis and treatment different from other available treatments for allergy symptoms, such as allergy shots and medication,” says Long Beach clinic director Chris Turner, DC, “is that this technique enables us to better identify the specific allergen or sensitivity from our database of over 10,000 different substances. Through this identification, which is enabled by our unique computer system, we can relieve the patient’s sensitivities much more precisely, which in turn provides us with greater results”. AllergiCare™ Relief Centers’ system assists the practitioner in the diagnosis and relief of allergy symptoms in a non-invasive, drug-free environment. This system has been shown effective with all types of allergies, including seasonal symptoms related to hay fever, pollen, grasses and trees; environmental substances such as pollutants, chemicals, dust and dust mites; food allergens such as fruit, dairy, and nuts; and pet allergens among others. AllergiCare™ Relief Centers addresses the problem at its source rather than just treating the symptoms. Many patients notice significant results after receiving just a single treatment. As each treatment addresses only one substance category, allergies to multiple substances may require multiple treatments. The cost per treatment is very affordable when compared to other methods. Due to the unpredictable nature of allergies, sensitivities and the immune system, AllergiCare™ Relief Centers cannot guarantee any results, as is the case with all forms of healthcare. AllergiCare™ Relief Centers also cannot guarantee that new allergies or sensitivities will not develop in the future. While AllergiCare™ Relief Centers can treat most forms of allergies and sensitivities, some case do not respond to the treatment. AllergiCare™ Relief Centers does not treat cases of anaphylaxis. 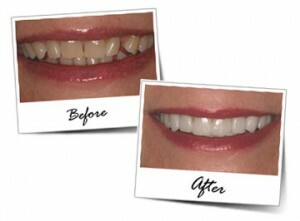 A Smile Makeover is a complete transformation of your smile. Dull, discolored teeth can be whitened. Crooked, gapped or overlapping teeth can be corrected by veneers. Missing teeth can be replaced. Chipped teeth can be repaired. Protruding gums can be recontoured. If you have any outdated metal fillings, they can be removed and replaced with natural looking porcelain or composite resin. The results are dramatic and can usually be accomplished in two visits. Your smile is an important part of making your best first impression. Missing, crooked, chipped, or stained teeth can distract from an otherwise pleasing look. Besides their flaws in appearance, missing or chipped teeth can lead to a misaligned bite, problems with speaking or chewing, and jaw joint or TMJ disorders. If you have been looking for a cosmetic dentist who specializes in extreme smile makeovers, look no further. The Doctors at The Washington Center for Dentistrybelieve that improving ones smile leads to a change of overall appearance and self confidence. The difference can be life changing. They take pride in their ability to transform average smiles into dazzling smiles and take a comprehensive approach to smile makeover procedures at The Washington Center for Dentistry of Washington DC, their DC metro area practice. When making a decision about how to proceed with cosmetic dental treatment, it is important to know not all dental offices are the same. Anyone can claim to be a cosmetic dentist, even a doctor with no training or experience. Schedule a complimentary smile evaluation and see the difference for yourself! Potential patients are encouraged to visit us online at www.dc-cosmetic-dentist.com to request their virtual smile makeover and analysis kit. After submitting their contact information they will be able to undergo a virtual smile makeover in which they will be instructed on how to submit a photo and request to our system. The potential patient will then receive a custom virtual smile makeover that will include a before and after photo of how they could enhance their smile cosmetically along with some information from our team of dentists that will be specific to their needs. We use the most advanced cosmetic dental technology and techniques to achieve the finest smile makeover results. We take pride in the countless beautiful smiles we have created through high-quality cosmetic and restorative dental procedures such as Invisalign®, porcelain veneers and crowns, BriteSmile® teeth whitening, laser gum recontouring, bonding, and more. Our patients have been consistently pleased with the way their smile makeovers have dramatically altered their appearance, boosted their confidence, and changed their lives. During a smile makeover consultation, we will assess your teeth to determine which treatment options would best suit your unique dental needs. They will go to great lengths to ensure that you are completely comfortable and satisfied with your smile makeover. The result is an exquisite, natural-looking smile that you can be proud to show off. Get the smile you have always wanted, today. To book a Smile Makeover Consultation appointment with the dentists of The Washington Center for Dentistry (Washington-DC- Dupont Circle,Georgetown,Capitol Hill) – Please visit us online at www.dc-cosmetic-dentist.com or call us at (202) 510-9024. Nearly 5 million children underwent surgery in the United States in 2008 and according to one prominent anesthesiologist, many of those surgeries were made more difficult by parents who refused to follow their doctor’s orders. Dr. Armen Ketchedjian, author of the book Will It Hurt? A Parent’s Practical Guide to Children’s Surgery, says that parents often ignore doctors’ directions and requests for pre-surgery testing and preparation. Considering the stakes, the reasons parents give for not complying with their doctor often seem, well, unreasonable: Scheduled tests may interfere with family vacation plans or because parents, in their own opinion, feel that the requested tests or diets aren’t important. Missed appointments and tests cause unnecessary delays in the preparation for surgery according to Dr. Ketch, who says that medical professionals order the tests for a reason. Will it Hurt? is a guide for parents whose children need surgery and a big part of the book’s message is the importance of the preparations that contribute to a successful surgery. Dr. Ketch says he believes that informed parents make the experience easy for everyone, including their child. And that can pay big dividends after the surgery. Will It Hurt? helps educate parents about pediatric surgery. It is an easy to-read resource will give you, your child and your family the help and reassurance you need to make the surgical experience as stress-free as possible. Listed in The Guide to America’s Top Anesthesiologists by the Consumer Research Council of America, Dr. Ketch trained at Cornell Medical Center, with a fellowship at Memorial Sloan-Kettering Cancer Center and a pain management elective at Boston Children’s Hospital. He has also worked to help develop new techniques in ambulatory anesthesia, taught medical students and residents, and cared for more than 10,000 patients. Dr. Ketch is also the author of the children’s book Golden Apples (winner of the 2008 Reviewer’s Choice Award), a beautifully illustrated book that aims to help educate children about the dangers of drug abuse. For more information, contact the author directly at support@dr.ketch.com. World Association of Laparoscopic Surgeons is organizing International Conference on Recent Advances of Minimal Access Surgery every year. In 2009 it is going to be held in Istanbul Turkey under the presidency of Dr. Gokhan Goynumer. Since 2001 Laparoscopy Hospital is supporting surgical residency and fellowship training by providing an opportunity for surgeons-in-training to utilize the Fellowship and Diploma program to study and to certify their basic skills in laparoscopy before going into clinical practice. “We are proud to extend our coordination with Medical Council of India by having financial support to organise such international conference and laparoscopic workshop,” said, Prof. Dr. R. K. Mishra Indian President, World Association of Laparoscopic Surgeons. “This MCI grant will allow thousands of surgeons to get advantage from this conference and to develop in laparoscopic skills which will ultimately lead to new innovative surgical procedures and better patient outcomes,” added Flora. The WALS has also developed structured training guidelines, developed by its international members and now jointly supported by the TGO University, is a comprehensive and validated educational module designed to teach the physiology, fundamental knowledge and technical skills required in basic and advanced laparoscopy that allows practice in a safe environment without putting patients at risk. Upon completion of the didactic and manual skills training portion of the course, participants take a proctored, two-part exam that covers cognitive knowledge, clinical judgment and technical skills. Recognizing the importance of improving surgeon’s technical skills and enhancing patient safety, as well as the need for on-site training and testing, Medical Council of India has provided a generous, financial support to the WALS. World Association of Laparoscopic Surgeons is a leading global organization to promote minimal access surgery among surgeons and gynaecologists all over world. WALS creates innovative medical solutions for better patient outcomes and delivers value through clinical leadership and excellence. The World Association of Laparoscopic Surgeons (WALS) was founded in 1998 to foster, promote, support and encourage academic, clinical and research achievement in minimal access surgery. The Society has grown from fewer than 50 original members to almost 2,000 over 80 countries. WALS provides signature guidelines for training, standards of practice and granting of privileges which promote patient safety and the best clinical outcomes. Visit http://www.wals.org.uk for more information. Developed by the World Association of Laparoscopic Surgeons (WALS) the Fellowship and Diploma in Minimal Access Surgery includes cognitive and hands-on skills training components, and a validated assessment focusing on the physiology, fundamental knowledge, and technical skills required in basic laparoscopic surgery. 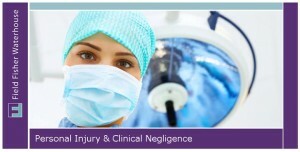 Visit laparoscopyhospital.com for details.